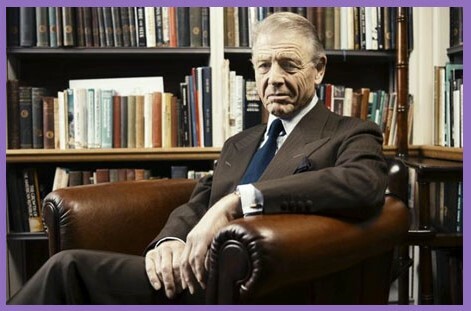 Edward Fox OBE is one of the UK’s most distinguished actors, with a career spanning seven decades. In manner, character and disposition, he is the epitome of English decency, and the embodiment of civility, charm and candour. He rarely forays into the political realm, but the question of UK sovereignty and the matter of EU treaty superiority over national law has been of concern to him for many years. There is an innate conservatism in his love of established custom, the bond of compatriotism, and his articulation of the Burkean organic order and the Lockean social contract. From human experience and the observations of centuries, British originality, for him, lies in the testimony of nationhood and the natural projection of individual identity: the sovereign parliamentary state is in political-philosophical tension with continental notions of law and liberty driven by oligarchical elites. Edward Fox was a good friend of Sir James Goldsmith – to whom we owe a huge debt of gratitude for bringing us to this point – and in the 1997 General Election he was a supporter of the Referendum Party, at whose conference he delivered a speech. He writes candidly here about the forthcoming EU Referendum, with full knowledge of the dangers to the integrity of national democracy and political sovereignty should we vote to remain in the incremental “ever closer union” toward a United States of Europe. Sovereign power is not a divisible condition: it is an absolute. Argument that counters adherence to that principle propounds a falsehood. Sovereign power is absolute or it is nothing. For Great Britain, the condition had existed historically until the times of treaties signed to accord and merge with belief and desire for a European federating dominance of power. It had been the beneficence bequeathed by our ancestral forebears who believed, fought and died in the cause of freedom for sovereign power of governance for Great Britain. A sacred blessing. A sacrifice beyond calculation. Argument that seeks to etiolate and eventually eviscerate the native courage and deep-rooted spirit of Britons deserves to be despised and derided. The management of economies for the well-being of nations is arrangeable, flexible, alterable and matter for human negotiation. True amity derives from the natural interchange and flow of human fellowship and does not ever devolve truly from the creation of treaties charged with political obligation. The interchange of human fellowship is a mystery, the work of God, and always defies being imposed.